Cold frames provide an easy and economical way to establish greater control over your growing environment, and are used to increase crop yields and extend growing seasons. They are ideal for starting seedlings or transitioning (hardening off) greenhouse plants prior to outdoor planting. In early spring, cold frames are often used to start cool-weather crops, where they can be grown to maturity in the frame or transplanted into the garden when the climate is warm enough. These structures also offer a way to begin planting summer annuals and seeds before they can be started in the open. How are cold frames different from greenhouses? Cold frames are used mainly for season extension and starting seedlings, while greenhouses are meant to be used for year-round growing in climates that get very cold. Cold frames are generally simpler and less expensive than greenhouses because they are not designed for year-round use unless you live in a climate that stays relatively warm. Greenhouses are equipped with fans, heaters, vents, shutters, louvers and other atmosphere controlling devices to keep the temperature of the plants at an optimum level, even during the cold winter. They also usually have a thicker covering on the frame, such as polycarbonate or a double layer of polyethylene plastic, which remains installed all year long. Cold frames usually have only a single layer of film or fabric that is installed and removed as needed, and do not have heating systems. 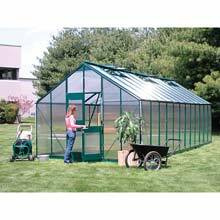 Also, plants in a greenhouse are usually grown in containers or shelving, whereas in a cold frame, plants are grown directly in the ground and occasionally in raised beds. Why should I use a cold frame? Cold frames offer a simple way to increase your crop yield and extend your growing season. By protecting plants from the elements and providing insulation, the ground takes much longer to freeze inside the cold frame and frost damage is reduced for up to a month on each end of your growing season. Cold frames allow growers to start planting earlier and harvest longer, while producing better quality plants. They protect your plants from wind, heavy rain, irrigation and pest problems, reducing stress and improving overall plant health. 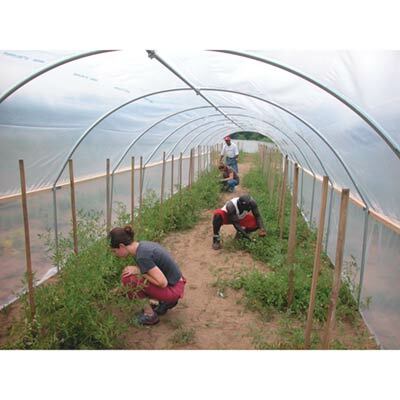 Cold frames provide the economical and functional benefits of a growing shelter, without the need for investing in a fully equipped greenhouse. What kinds of cold frames does TekSupply offer? TekSupply offers a wide array of cold frames designed for anyone from a small backyard gardener to a large commercial grower. When choosing and constructing your cold frame, you must first consider the size and style frame you want and the film or covering to go over it. Many sizes, styles and accessories are available, depending on your growing needs, climate and location. Our EZ-Build and Gro Cold Frames are extremely economical and ideal for the amateur grower. These cold frames are offered in a wide selection of widths and lengths. They are easy to construct, take down and can be moved, if necessary. 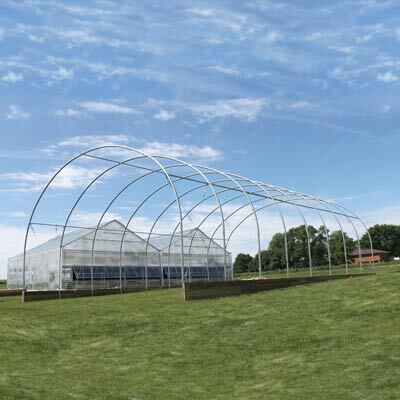 With these structures, TekSupply offers the flexibility of purchasing just the frame, or the frame with 6 mil 4 year Greenhouse Film included, to simplify your ordering process. U-Channel and Stainless Steel Springs are also included to provide a finished, professional appearance. This package makes a great starter kit for growers in the learning stages or those who simply want a cost-effective way to extend their growing season and grow their own vegetables and flowers. 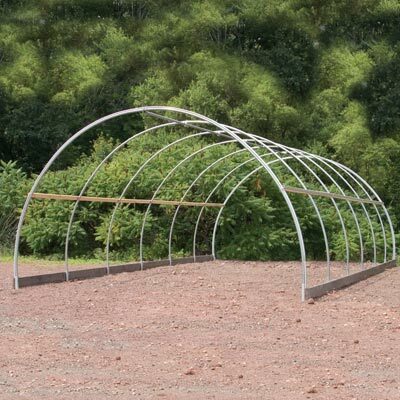 Round Style and Gothic Style Cold Frames are great for growers of all abilities and growing operations of all sizes. TekSupply offers both of these styles in a wide range of widths and lengths, from 8' wide to 38' wide and 24' long to 96' long. Choosing whether you want Round or Gothic Style depends on personal preference, as they each have various advantages. The shape of the Round Style frame makes snow and precipitation slide off slightly easier than the Gothic Style and this style is also typically more cost effective to construct. 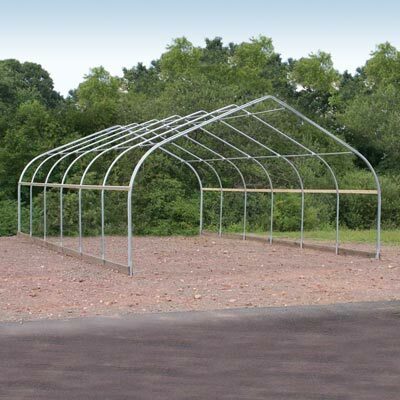 However, the Gothic Style frame allows you to plant closer to the inside edges due to the straight sidewalls, offering more usable space and greater planting flexibility. You should choose the style that will most benefit your growing needs and budget. Covering is sold separately for these cold frames, allowing you to select the fabric or film of your choice. 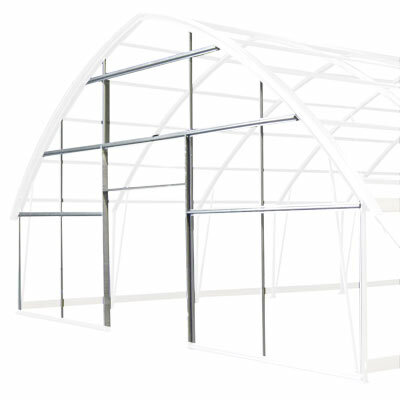 For larger growing operations, TekSupply now offers S500 Tall Cold Frames. These structures provide maximum space for tilling, irrigation and chemical applications, making them ideal for commercial use. With 6' sidewalls, these cold frames offer a great amount of usable growing space. These structures also feature a roll-form frame which ensures strength, durability and long life. We can custom manufacture virtually any length cold frame with 4' or 6' rafter spacing, depending on your snow-load requirements. What kind of covering should I choose for my cold frame? Choosing the right covering for your cold frame depends on factors such as the climate where you live, what you are growing and how long into the season you want to grow. Below are just a few of the many popular options we offer for covering cold frames. Contact Us today for help in picking the right covering for your needs. Our 5.2 oz. Clear PolyMax® Greenhouse Fabric is great for covering cold frames and is manufactured from rip-stop, woven polyethylene fabric for exceptional strength, durability and diffused light. This fabric creates a nourishing environment that results in faster growth and healthier plants and offers 85% light transmission. The Sun Master® 70% Opacity Overwintering White Film is perfect for protecting delicate ornamentals and reducing overwintering injury in a cold frame. Constructed from high-quality, tri-layer copolymer resin, this 3 mil white film offers 70% opacity. 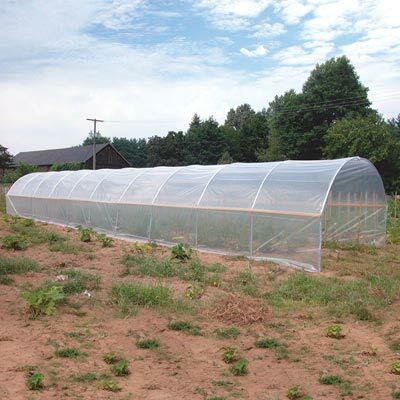 Our Sun Master® 6 mil 4 year White Film is very popular for covering cold frames and is a copolymer tri-layer material that provides superior strength, high light transmission and excellent film properties. This film has 55% opacity which keeps the light shining through. You can order this film in full rolls or in custom-cut lengths for ultimate flexibility. Another film that is ideal for single-layer cold frame applications and overwintering is the Sun Master® 3 mil 1 year Clear Greenhouse Film. This film provides an excellent light transmission of 88% while reducing temperature fluctuations during the overwintering period. 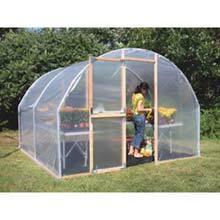 What accessories should I consider purchasing with my cold frame? If you live in an area that receives heavy snow, you should consider adding a Rafter Kit to your cold frame to offer extra strength and durability. This allows you to change your rafter spacing from 6' to 4', providing extra protection from inclement weather. Adding an End Frame Kit to your roll-form cold frame adds strength, durability and attractiveness to your building's ends. This option also allows you to add roll-up doors. We recommend using our Recycled Plastic Lumber as baseboards for your cold frame. 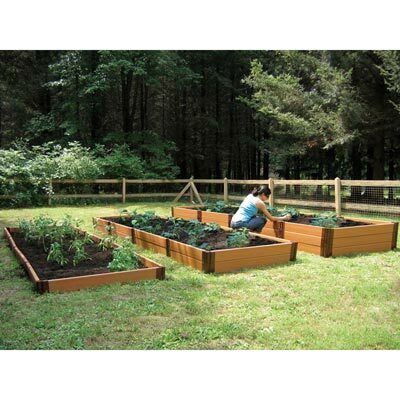 It is also ideal for constructing your own Raised Beds for improved soil conditions and increased crop yields. This composite lumber creates a professional, finished look and is also extremely durable and maintenance free. It will not rot, split, crack, splinter or need to be replaced after time like real wood, and it will never need painting, staining or waterproofing. Have questions about Cold Frames? Visit our Live Help page or Contact Us.